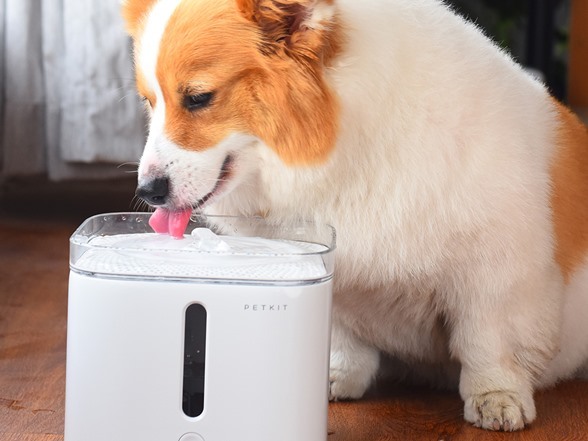 The PETKIT Eversweet Dog and Cat Smart Waterer features a 3-stage carbon filtration system which filters out and helps eliminate harmful chemicals and impurities found in contaminated or unfiltered water. 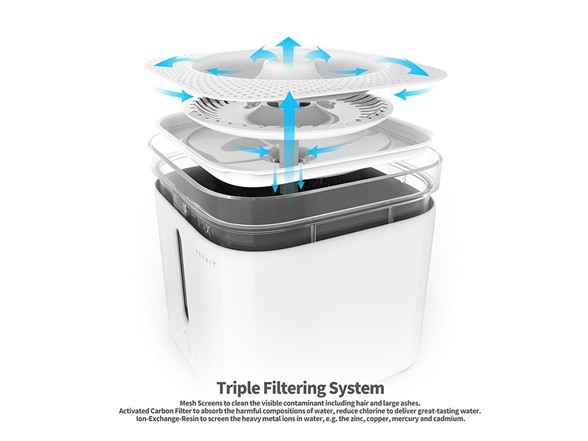 Internally each carbon filter features mesh screens with activated carbon and ion-exchange resins. 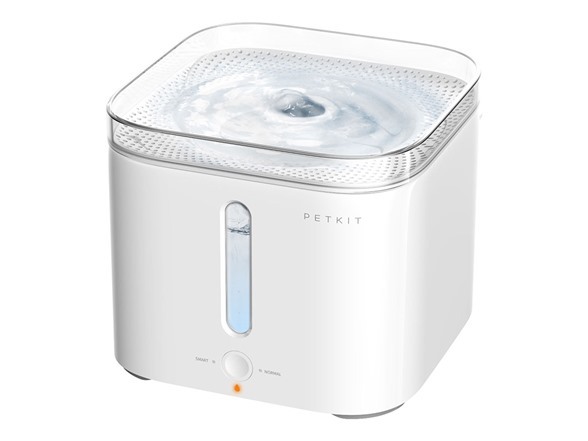 The device also features a filter-change reminder and will flash on the front of the device when the filter unit needs to be changed. 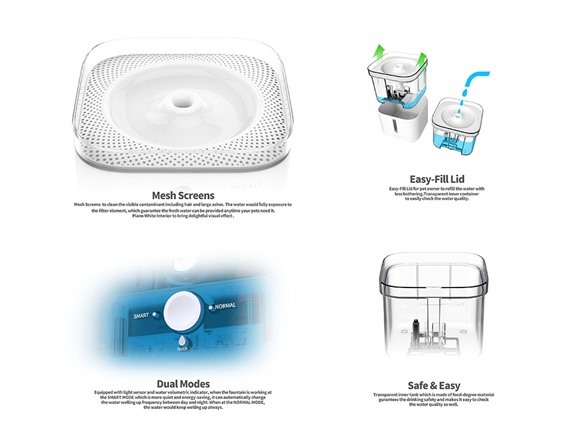 The Eversweet features an LED blue light reminder which automatically lights up once water thresholds dip below certain levels. 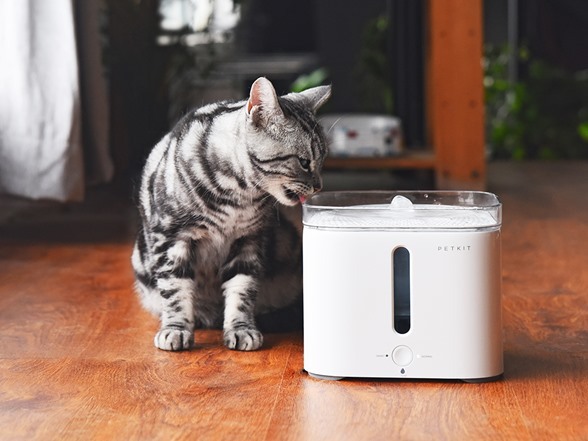 The Eversweet is designed and engineered to remove any noises due to splashing as the infinity-flow concept guides the water flow through perforated holes that allow users to enjoy an ultra-silent experience in combination with the mini yet powerful built-in water pump. 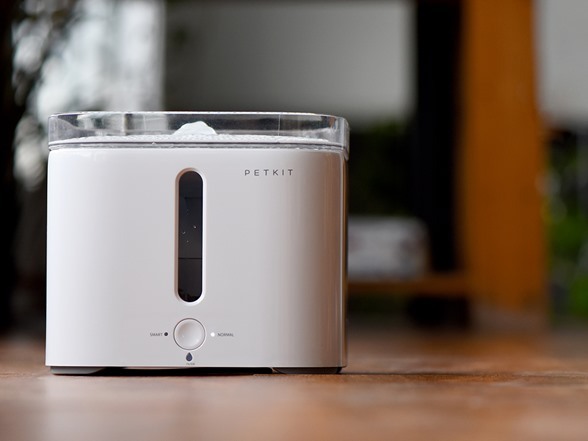 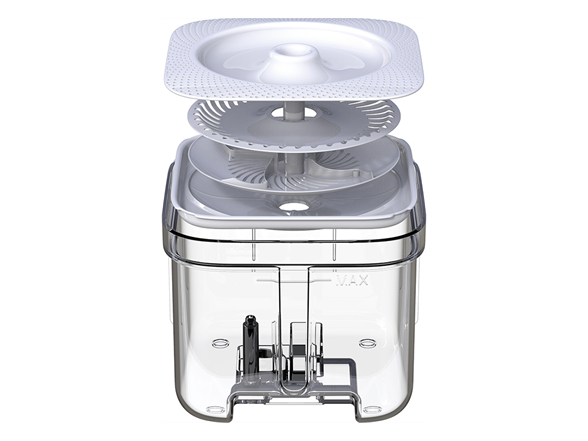 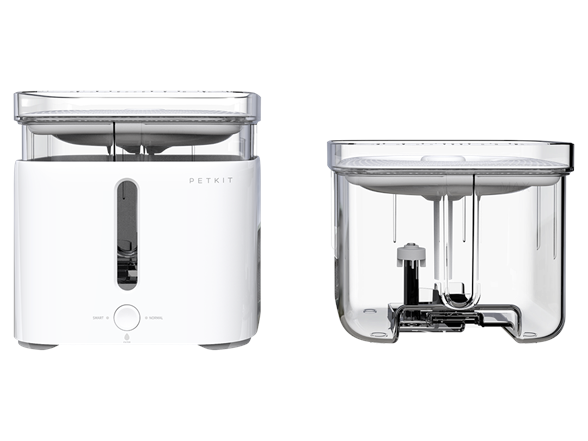 The Eversweet features both 'smart' and 'normal' mode functions, the smart function automatically turns off when not in use and normal mode allows the device to continuously flow water. 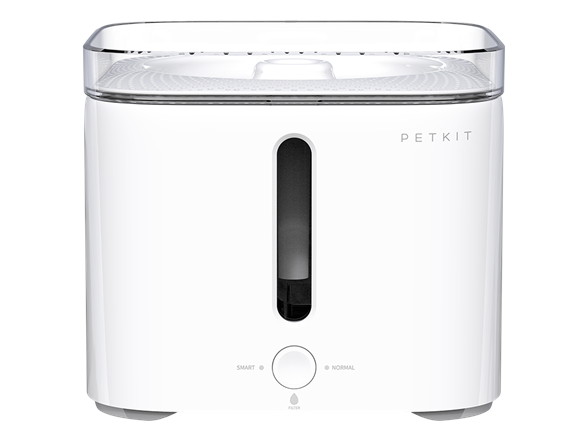 *A pack of 3 extra filters will be available in 30 days from PETKIT.